The heart of the home is the kitchen–and buyers are eager to fork over for a showpiece. 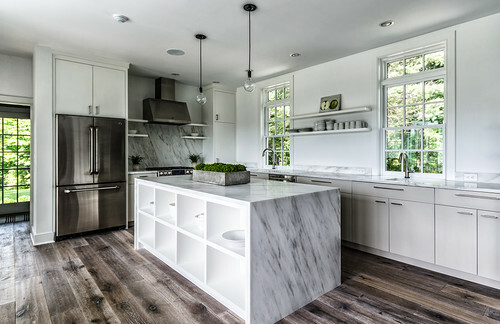 According to an analysis conducted recently by Zillow, adding commercial-grade features to the kitchen pays a premium. Evaluation 4.6 million home listings in the past year, Zillow discovered that the features garnered anywhere from 24-34 percent more at sale. The boost comes with a caveat: longer timelines. Because amenities appeal to specific tastes, and are common in higher-end homes–and homes in the luxury market move slower, typically–cashing in could take a while. Against comps, homes outfitted with a steam oven, for instance, were on the market for 22 days more than others. “Having a steam oven, a heated floor or other luxury features in the home is a signal that there are ore than the home’s basic features at play.” says Skyler Olsen, director of Economic Research at Zillow. “These homes are special. They likely come with an elevated design sense and the extra touches valued by home shoppers who are willing to pay. “If you have these features, flaunt them.” Olsen says. When designing a small space, it is important to hone in your ideas and make a plan. This plan should include which elements you’d like to incorporate into your yard. A small space will not be able to accommodate multiple large objects. Be selective in your design plans and decide on one large item to include in your design. Once you decide on that larger item, whether that be a small pool, fire pit or dining table, the rest of the planning will fall into place. Give your yard a focal point. A beautiful statue, a grouping of plants, a water feature, or small, in-ground pool may take the attention away from the size of your yard and allow your guests to focus on the beauty instead. Draw guest’s attention to your pool with a luxurious pool liner or wow them with your creative poolside seating arrangement. 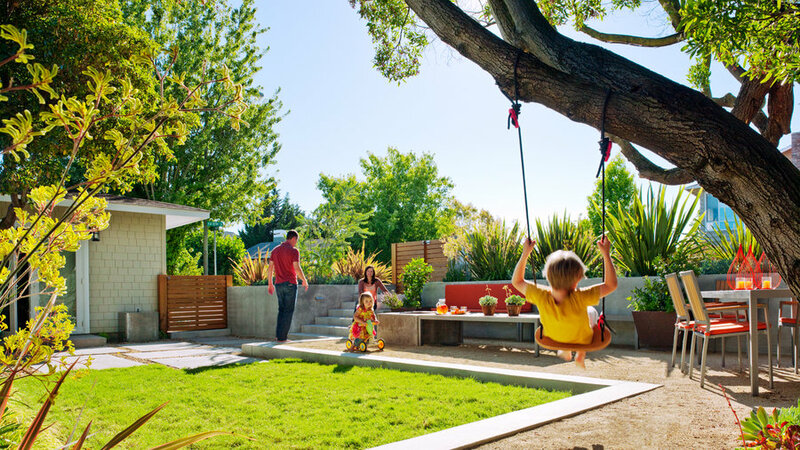 Determine the placement of your focal point based on the layout of your backyard. 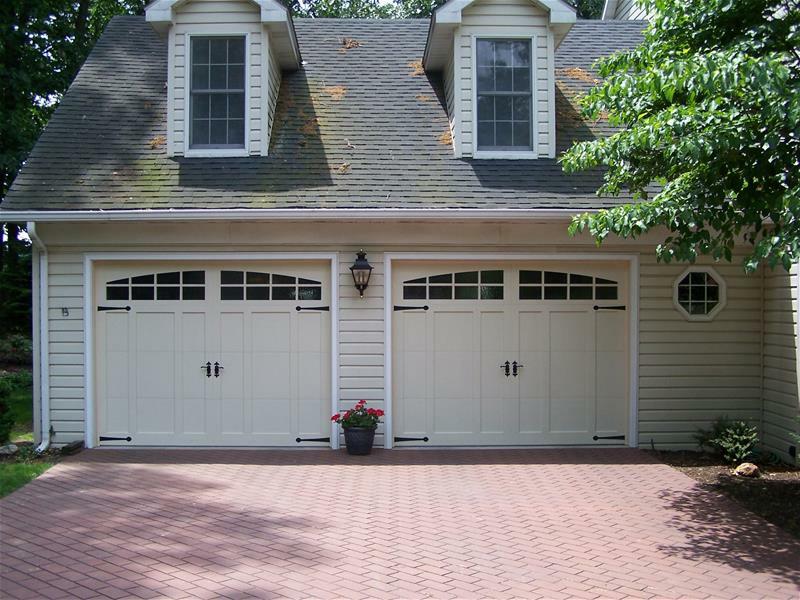 Typically, this will lead to the center of your yard or wherever the most natural path to a threshold occurs. 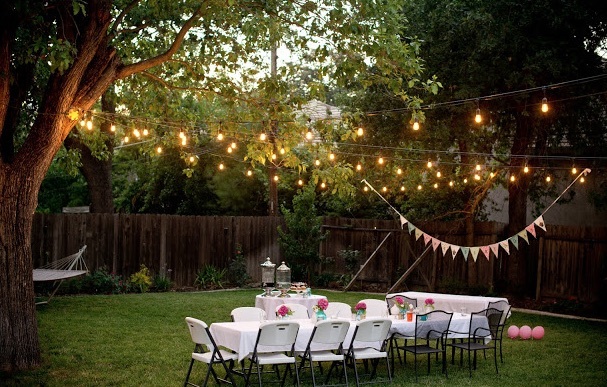 Planning to host a summer soiree this year? You better start prepping your yard now. Low Voltage Lighting. At night, landscape lights can turn even nondescript yards into appealing spaces, while making walkways safer. Yet many don’t realize how easy it is to wire safe, low voltage lighting. According to Wade, simply plug a transformer box into an outdoor outlet to convert household current to shock-free low voltage. Then wire your fixtures into the box. One Application Lawn Care. Most homeowners want a lush, green, weed-free lawn but don’t want to spend lots of time and money, says Wade. Instead of applying different products in multiple applications, he suggests Preen One Lawncare, combining three essential treatments into one application. It prevents crabgrass and kills crabgrass seedlings, while killing broadleaf weeds down to the roots, and feeding the lawn all season. Apply it when you first see the yellow of dandelions. No Weeds, No Weeding. Tidy landscape beds upgrade any property. “You want crisp edges, fresh mulch and no weeds,” says Wade. To keep beds weed-free for six months, guaranteed, sprinkle weed control granules on top of mulch. Water it in to form a protective barrier that stops weed seeds from rooting, so they never grow. No weeds means no weeding! Green Walls Create a Party Mood. Green walls are trending. “A wall or fence covered with panels of succulents or ferns adds charm and feels cooling in outdoor seating areas,” says Wade. However, many find live green walls difficult to maintain. Wade chooses new realistic, artificial options. “Quality faux green wall panels made of UV protected materials are natural-looking and can last 10 years,” says Wade. With a bit of spring preparation, your backyard can be the place to be this summer, making every day a special occasion for you, your family and friends. A bold, bright color in your home can feel fresh and inviting. However, large color commitments like paint or wallpaper can create a headache if you outgrow the hue six months into it. If you’re itching to add more color to your space, but are nervous about outgrowing the shade, consider one of these easy-to-swap design elements. You can even incorporate new colors seasonally. Flowers and plants. 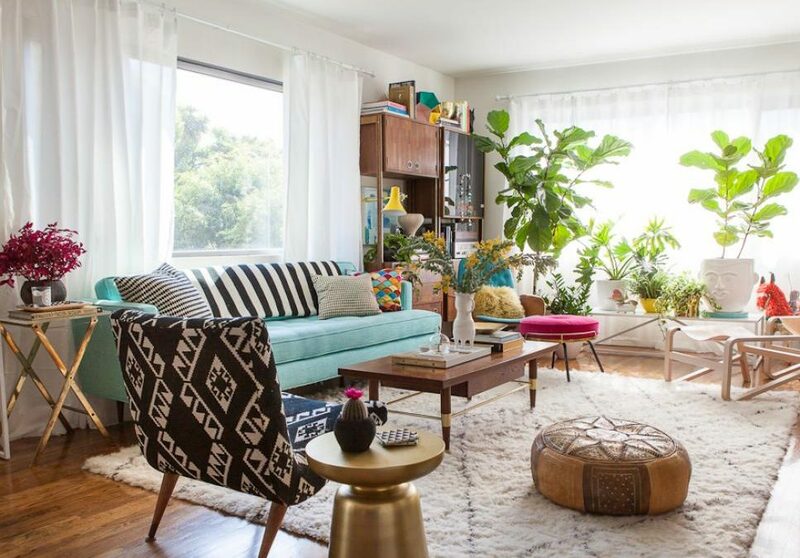 Bright flowers or plants are the easiest and least expensive way to add a pop of color to your space. If possible, check out a local farmers market for discounted bouquets and planted pots and stock up. Art. Hang those bright colors on the wall by supporting a local artist. Browse local craft fairs and galleries, or commission someone for a piece created just for you. Rugs. You can get a great rug for just a few hundred dollars, and they can be a fun way to brighten your space. Curtains. Brightly colored curtains can help frame your room. Consider a cheery yellow or green. Pillows. Throw pillows are another easy, low-cost way to toss a vibrant orange or magenta into a space without making a large commitment.